Invest in the health of our shared water resources! Lake Michigan and the rivers that feed into it are an invaluable treasure for Southeastern Wisconsin. Whether it's visits to the beach, fishing with a family member, taking in a scenic vista or supporting job creation, healthy waterways benefit and unite us all. We should not, therefore, take this resource for granted. Sweet Water is committed to protecting and restoring our shared water resources, but we can't do it alone. Your donation will help Sweet Water work with our organizational partners--nonprofits, government, businesses and growers--to develop plans and take action to address threats to our waters. Your support will help us further leverage foundation and government funds to extend programs like our Respect Our Waters media campaign and our Mini-Grant program. 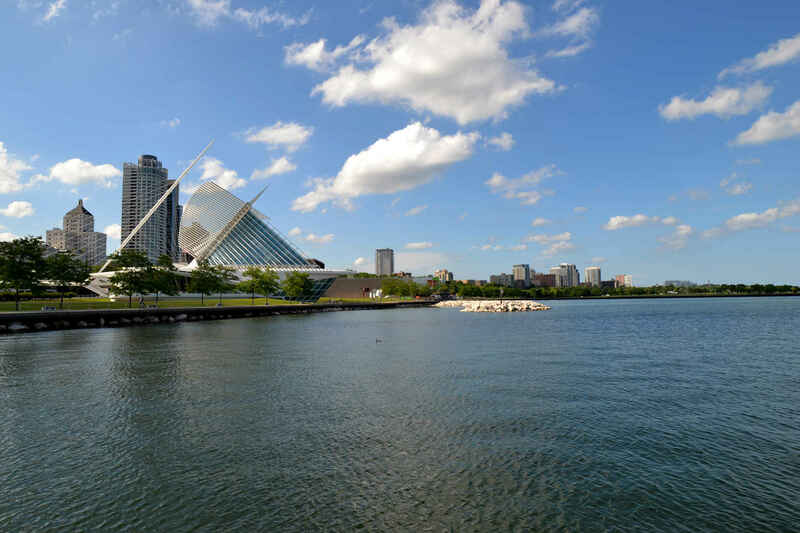 Be a part of the movement to make Milwaukee a global example for freshwater stewardship -- we appreciate your gift and hope to see you at an event or meeting in the near future! raSmith is pleased to provide a donation that will help keep our waters clear of pollution! HNTB value's the Southeastern Wisconsin Watersheds Trust mission including protecting and collaborating on our local water resources! GEI supports healthy waterways in our community. Thanks for all of your important work to improve Milwaukee-area rivers and Lake Michigan.